LAKELAND, Florida — The First Baptist Church at the Mall has a rich history of serving its parishioners ever since it was founded as the First Baptist Church of Lakeland in Florida in 1885. From its beginnings with 12 charter members worshipping in a 32-foot by 50-foot wooden frame structure, the Church has been steadily expanding to where it now stands on the site of a former mall (hence its name) and can accommodate almost 2,500 congregants. 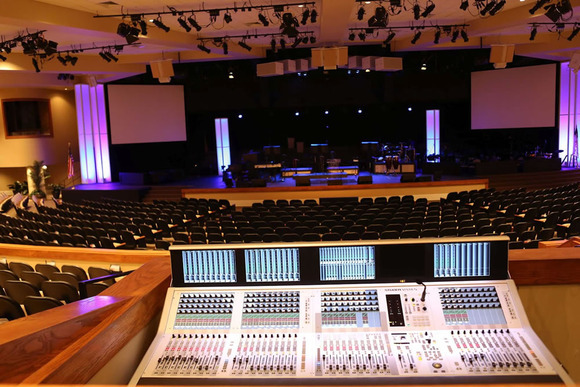 With growth came the need for a more capable live sound console: a HARMAN Studer Vista 5 M2, which the church uses for both front-of-house and monitor mixing.